“Hate addiction and not the addict”… If you are someone who is struggling to come out of the clutches of addiction, if you are someone who wants to know more about addiction and its treatment, then you have come to the right place. Technically speaking, addiction means getting used to a certain substance/behavior, etc. Addiction can be in the form of alcohol, drugs, pain pills, masturbation, smoking, gambling and so on. Addiction is different from a habit. Habits can be easily changed and manipulated with simple efforts. However, once you get addicted to something you will need strategic interventions to deal with it and come off it. Let me give you an example: Let us assume that you brush your teeth three times a day. Without that you may feel that your day is incomplete. Suddenly one day you realize that there’s no need to brush your teeth three times, only two times is enough. Then you start working on it and soon you will get used to brushing two times a day. Sounds great, right! But, once you are addicted to something, say alcohol, you will get a variety of physiological and psychological problems/symptoms if you do not consume it. So that’s the symptomatic dimension of addiction. Getting recurrent thoughts of the addictive substance, getting frequent urges to satiate your addiction, changes in diet-sleep-thoughts-behaviour, experiencing a lot of stress-anxiety-depression-mood swings-hot/cold flushes-palpitations, etc. 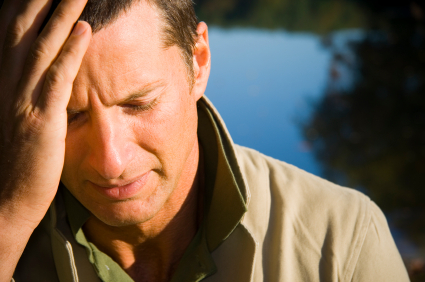 when the addiction urge is not gratified are some of the common symptoms of addiction. Whatever be the source of cause of addiction, it literally shatters your life in a manifold ways. Once you are addicted to something it will have a negative impact on the vital organs of your body and important psychological functions like memory, attention, concentration, cognition, emotions and affect as a whole. The social stigma that strikes as an aftermath of addiction cannot be denied too. Sometimes you may be the center of fun and bullying due to addiction; family members may start de-tangling themselves from your company, moreover your professional life will also get affected in this muddle. So what to do now? The first and foremost thing to do in case of addiction is to get loads of information about the same. Secondly, look out for the source of your addiction, how it started and what aggravates it, and thirdly, look out for support system, as in, people who can help you to get rid of it. People from different spheres can help you with your efforts in de-addiction or getting rid of addiction. Some of them may include your family members, friends, teachers/colleagues who understand you and empathetic towards you. The world fraternity is filled with professionals who are trained to help you in your de-addiction problem. So taking the help of a psychologist or a doctor will be of immense help too. Given to the complex world of addiction and its pros and cons, the best solution is offered by online system of treatment or online therapy. Online mode of therapy will help you to deal with your addiction and at the same time protect your dignity, integrity, confidentiality and therapy expectations. If the addiction is too acute and chronic, you can opt for both in-patient treatment and online therapy. This will benefit you in both the ways. On one side you can get care and support of face-to-face health care workers/professionals and at the same time you can contact your online therapist as and whenever you need. You may forget the doctor’s treatment plans for you in a face-to-face setting, but in online therapy mode you can always save a copy of all the therapies your therapist imparts you and keep it for your future reference. In case, you feel that there is a relapse you can again start working on those therapies or contact your online therapist immediately. In the fast paced world today, virtual therapy in treatment of addiction is becoming the favorite of many people who are struggling with addiction. Many have already reached the safe shores of a normal life and others are continuing to get help via the online mode. If you feel that you are addicted to something, if you sense that addiction is taking a toll of your life, if you are badly addicted and going to hospitals and clinics seem impossible due to lack of time, money, fear of stigma and discrimination; please don’t waste even an ounce of a second.